Fred Taylor is proudest of two accomplishments from his time at Pan American College: earning All-American honorable mention in 1970, and playing in the NCAA Division II Southwestern Regional alongside longtime friend Otto Moore in 1968. The Broncs advanced to the second round of the 1968 regional, falling to Trinity 87-83 in overtime. Taylor and Moore, who first met while attending high school in the Houston area, both went on to the NBA and were teammates with the Phoenix Suns in 1971-72. Both ended up back in Houston after their playing careers, and Taylor said they still see each other weekly. Moore entered the UTRGV Hall of Fame in 2008, Taylor followed in 2010, and together they’ve attended most of the ceremonies since. On Thursday, UTRGV announced that the two will share one more special distinction, as Taylor will become only the fourth athlete in the program’s history to have his jersey number retired. Taylor’s No. 30 will join Moore’s No. 34, Luke Jackson’s No. 54 and Al Ogletree’s No. 44 when the number is raised into the rafters at UTRGV Fieldhouse before a men’s basketball game against Utah Valley on Feb. 16. Taylor ranks as the program’s fourth all-time leading scorer after amassing 1,721 career points from 1967-70. As a senior, Taylor posted 27.9 points per game, the fourth-highest single-season average in program history. Taylor, who also ranks seventh in program history with 699 rebounds, jokes that he could’ve scored more if the 3-point shot had been a part of the game. 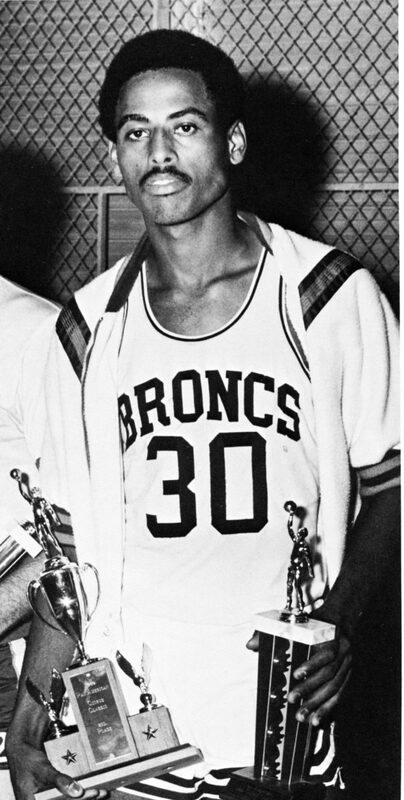 Taylor was selected 27th overall in the second round by Phoenix in the 1970 NBA draft, playing mostly off the bench as the team’s sixth man. The Suns twice played exhibition games in Edinburg. On Oct. 10, 1970, the Suns faced Moore’s Detroit Pistons. Then, on Sept. 28, 1971, Moore and Taylor were teammates as the Suns squared off against the Golden State Warriors. After being traded to the Cincinnati Royals and eventually cut, Taylor’s agent negotiated a deal for him to play in Europe. From there, Taylor returned to his home in Sugar Land, taking a 9-to-5 job in the Parks and Recreation Department. He quickly shifted to a sales position with Coca-Cola, where he worked for 38 years before retiring. Taylor credited UTRGV athletics director Chris King for making his jersey retirement possible, noting that the ceremonies for Jackson, Moore and now Taylor were all held since King began his tenure. King said in a release that Taylor was clearly deserving of the honor.